We have two automated manufacturing units, with a clean room area that exceeds 4200 sq. m. These units are equipped with state-of-the art machines and the latest technologies.The engineers and technicians work in tandem to fabricate quality rescue equipment that complies with industry standards. They develop the most effective products to suit the rescue operation requirements of any disaster management operation. We have a capacious warehousing and packaging unit, which is planned keeping in mind easy retrieval and on-time delivery, as well as safety of the equipment and proper storage conditions. The storage operations are carried out very meticulously by the warehousing personnel, who ensure that all equipment are stored according to the requisite standards. Our products are stored by the warehousing experts, who ensure no losses take place. The packaging experts supervise the packing operations for the rescue operation equipment offered by us. We use quality packaging material to make sure that the products are not impaired during the storage and delivery stages. This unit is strategically located to assist in timely delivery of the clients’ consignments. 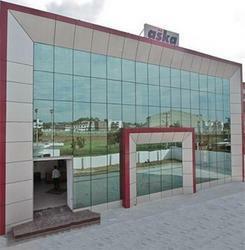 Aska manufactures technologically advanced rescue equipment in its plants at Roorkee in Uttarakhand and is having ISO 9001:2008 accreditations. The state-of-the-art manufacturing, testing and R & D facilities cover a clean room area of more than 2100 square meters area spread across the plants. The plants are well endowed with automated production equipment. Our manufacturing processes follow the best practices of the industry and adhere to industry standard environmental principles and safety requirements. We have streamlined our processes to ensure complete compliance with the total quality policy . Highly dedicated, well trained and self motivated Aska team comprising of approximately 20 engineers and other technical experts work together to deliver effective first responder.